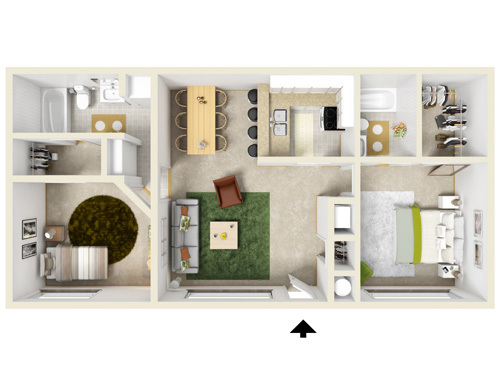 With thoughtfully-designed one-, two-, and three-bedroom apartment floor plans, Mountain View offers the perfect blend of elegance and convenience. You’ll find vaulted ceilings in upper apartments, and most floor plans feature large walk-in closets. Spacious, well-appointed kitchens and generous balconies will have you excited to come home, where you can relax and escape your busy day. Mountain View’s one-bedroom, one-bath apartment is a spacious-yet-cozy 700 square feet. 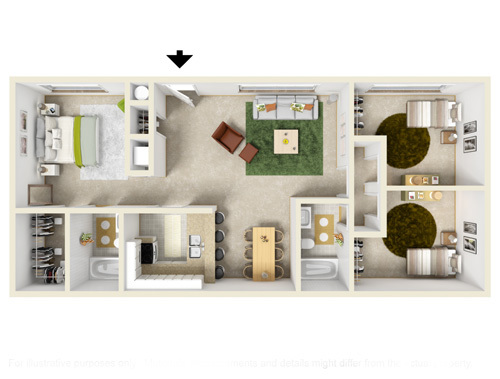 This floor plan features a large kitchen, an open living and dining area, and a large bedroom with walk-in closet. This one-bedroom, one-bath apartment includes 700 square feet of living space. This Mountain View floor plan has an open living and dining area, an L-shaped kitchen, and a large bedroom with en suite bathroom. At 900 square feet, this open and airy two-bedroom, two-bath apartment features a master bedroom with en suite bathroom and large walk-in closet, an open living and dining area, an L-shaped kitchen, and a guest bedroom with en suite bathroom. 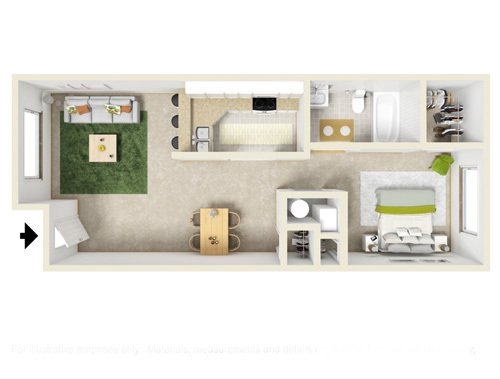 This Mountain View floor plan is a roomy 1,000-square-foot, three-bedroom and two-bath apartment. Enjoy a spacious living room, separate dining area, and a master suite with walk-in closet and full bathroom. 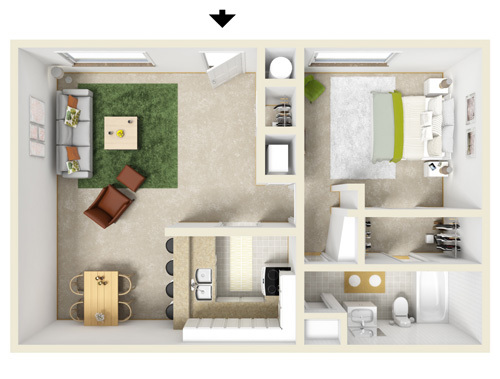 Plan 4 is a split floor plan with the two guest bedrooms and another bathroom on the opposite side of the apartment.